This article is about the company. For the transit center in Sunnyvale, California, see Lockheed Martin Transit Center. For the former companies, see Lockheed Corporation and Martin Marietta. Lockheed Martin Corporation is an American global aerospace, defense, security and advanced technologies company with worldwide interests. It was formed by the merger of Lockheed Corporation with Martin Marietta in March 1995. 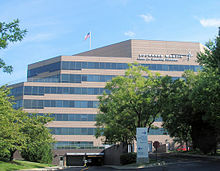 It is headquartered in North Bethesda, Maryland, in the Washington, DC, area. Lockheed Martin employs approximately 100,000 people worldwide as of December 2017. Lockheed Martin is one of the largest companies in the aerospace, defense, security, and technologies industry. It is the world's largest defense contractor based on revenue for fiscal year 2014. In 2013, 78% of Lockheed Martin's revenues came from military sales; it topped the list of US federal government contractors and received nearly 10% of the funds paid out by the Pentagon. In 2009 US government contracts accounted for $38.4 billion (85%), foreign government contracts $5.8 billion (13%), and commercial and other contracts for $900 million (2%). Lockheed Martin operates in four business segments: Aeronautics, Missiles and Fire Control, Rotary and Mission Systems, and Space Systems. The company has received the Collier Trophy six times, including in 2001 for being part of developing the X-35/F-35B LiftFan Propulsion System, and most recently in 2006 for leading the team that developed the F-22 Raptor fighter jet. 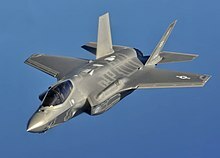 Lockheed Martin is currently developing the F-35 Lightning II and leads the international supply chain, leads the team for the development and implementation of technology solutions for the new USAF Space Fence (AFSSS replacement), and is the primary contractor for the development of the Orion command module. The company also invests in healthcare systems, renewable energy systems, intelligent energy distribution and compact nuclear fusion. Merger talks between Lockheed Corporation and Martin Marietta began in March 1994, with the companies announcing their $10 billion planned merger on August 30, 1994. The headquarters for the combined companies would be at Martin Marietta headquarters in North Bethesda, Maryland. The deal was finalized on March 15, 1995, when the two companies' shareholders approved the merger. The segments of the two companies not retained by the new company formed the basis for the present L-3 Communications, a mid-size defense contractor in its own right. Lockheed Martin also later spun off the materials company Martin Marietta Materials. The company reportedly received billions of dollars in subsidies to complete the merger. Executives also received large bonuses directly from the government as a result of the merger. Norman R. Augustine who was at the time CEO of Martin Marietta received a $8.2 million bonus. This was strongly opposed by Senator Bernie Sanders. Both companies contributed important products to the new portfolio. 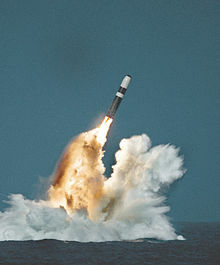 Lockheed products included the Trident missile, P-3 Orion maritime patrol aircraft, U-2 and SR-71 reconnaissance airplanes, F-117 Nighthawk, F-16 Fighting Falcon, F-22 Raptor, C-130 Hercules, A-4AR Fightinghawk and the DSCS-3 satellite. Martin Marietta products included Titan rockets, Sandia National Laboratories (management contract acquired in 1993), Space Shuttle External Tank, Viking 1 and Viking 2 landers, the Transfer Orbit Stage (under subcontract to Orbital Sciences Corporation) and various satellite models. On April 22, 1996, Lockheed Martin completed the acquisition of Loral Corporation's defense electronics and system integration businesses for $9.1 billion, the deal having been announced in January. The remainder of Loral became Loral Space & Communications. Lockheed Martin abandoned plans for a $8.3 billion merger with Northrop Grumman on July 16, 1998, due to government concerns over the potential strength of the new group; Lockheed/Northrop would have had control of 25% of the Department of Defense's procurement budget. For the Mars Climate Orbiter, Lockheed Martin incorrectly provided NASA with software using measurements in US Customary force units when metric was expected; this resulted in the loss of the Orbiter at a cost of $125 million. The development of the spacecraft cost $193.1 million. In addition to their military products, in the 1990s Lockheed Martin developed the texture mapping chip for the Sega Model 2 arcade system board and the entire graphics system for the Sega Model 3, which were used to power some of the most popular arcade games of the time. In May 2001, Lockheed Martin sold Lockheed Martin Control Systems to BAE Systems. On November 27, 2000, Lockheed completed the sale of its Aerospace Electronic Systems business to BAE Systems for $1.67 billion, a deal announced in July 2000. This group encompassed Sanders Associates, Fairchild Systems, and Lockheed Martin Space Electronics & Communications. In 2001, Lockheed Martin won the contract to build the F-35 Lightning II; this was the largest fighter aircraft procurement project since the F-16, with an initial order of 3,000 aircraft. In 2001, Lockheed Martin settled a nine–year investigation conducted by NASA's Office of Inspector General with the assistance of the Defense Contract Audit Agency. The company paid the United States government $7.1 million based on allegations that its predecessor, Lockheed Engineering Science Corporation, submitted false lease costs claims to NASA. On May 12, 2006, The Washington Post reported that when Robert Stevens took control of Lockheed Martin in 2004, he faced the dilemma that within 10 years, 100,000 of the about 130,000 Lockheed Martin employees – more than three-quarters – would be retiring. On August 31, 2006, Lockheed Martin won a $3.9 billion contract from NASA to design and build the CEV capsule, later named Orion for the Ares I rocket in the Constellation Program. In 2009, NASA reduced the capsule crew requirements from the initial six seats to four for transport to the International Space Station. On August 13, 2008, Lockheed Martin acquired the government business unit of Nantero, Inc., a company that had developed methods and processes for incorporating carbon nanotubes in next-generation electronic devices. In 2009, Lockheed Martin bought Unitech. On November 18, 2010, Lockheed Martin announced that it would be closing its Eagan, Minnesota location by 2013 to reduce costs and optimize capacity at its locations nationwide. In January 2011, Lockheed Martin agreed to pay the US Government $2 million to settle allegations that the company submitted false claims on a U.S. government contract for that amount. The allegations came from a contract with the Naval Oceanographic Office Major Shared Resource Center in Mississippi. On May 25, 2011 Lockheed Martin bought the first Quantum Computing System from D-Wave Systems. Lockheed Martin and D-Wave will collaborate to realize the benefits of a computing platform based upon a quantum annealing processor, as applied to some of Lockheed Martin's most challenging computation problems. Lockheed Martin established a multi-year contract that includes one system, maintenance and services. Potentially an important milestone for both companies. On May 28, 2011 it was reported that a cyberattack using previously stolen EMC files had broken through to sensitive materials at the contractor. It is unclear if the Lockheed incident is the specific prompt whereby on June 1, 2011, the new United States military strategy, makes explicit that a cyberattack is casus belli for a traditional act of war. On July 10, 2012, Lockheed Martin announced it was cutting its workforce by 740 workers to reduce costs and remain competitive as necessary for future growth. 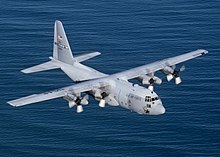 On August 2, 2012, the Vice President for Business Development, George Standridge stated that his company has offered 6 more C-130J aircraft to the Indian Air Force, for which discussions are underway with the Indian Government. On November 27, 2012, Lockheed Martin announced that Marillyn Hewson will become the corporation's chief executive officer on January 1, 2013. On January 7, 2013, Lockheed Martin Canada announced that it will be acquiring the engine maintenance, repair and overhaul assets from Aveos Fleet Performance in Montreal, Quebec, Canada. On July 3, 2013, Lockheed Martin announced that it was partnering with DreamHammer to use the company's software for integrated command and control of its unmanned aerial vehicles. Lockheed Martin teamed up with Bell Helicopter to propose the V-280 Valor tiltrotor for the Future Vertical Lift (FVL) program. In September 2013, Lockheed Martin acquired the Scotland-based tech firm, Amor Group, saying the deal would aid its plans to expand internationally and into non-defence markets. On November 14, 2013, Lockheed announced they would be closing their Akron, Ohio facility laying off 500 employees and transferring other employees to other locations. In March 2014, Lockheed Martin acquired Beontra AG, a provider of integrated planning and demand forecasting tools for airport, planning to expand their business in commercial airport information technology solutions. Also in March 2014, Lockheed Martin announced its acquisition of Industrial Defender Inc. On June 2, 2014, Lockheed Martin received a Pentagon contract to build a space fence that would track debris, keeping it from damaging satellites and spacecrafts. In September 2014, Lockheed agreed a deal to sell 40 F-35 fighters to South Korea for delivery between 2018 and 2021, for a fee in the range of $7.06 billion. On July 20, 2015, Lockheed Martin announced plans to purchase Sikorsky Aircraft from United Technologies Corporation at a cost of $7.1 billion. The Pentagon has criticized the acquisition as causing a reduction in competition. In November 2015, the acquisition received final approval from the Chinese government, with a total cost of $9 billion. Dan Schulz was named the president of Lockheed Martin's Sikorsky company. Lockheed Martin has shown[when?] sketches for a twin-engine, blended wing body strategic airlifter similar in size to the C-5. On March 31, 2015, the US Navy awarded Lockheed Martin a contract worth $362 million for construction of Freedom-class ship LCS 21 and $79 million for advanced procurement for LCS 23. The Freedom-class ships are built by Fincantieri Marinette Marine in Marinette, Wisconsin. In December 2015, Lockheed won a $867 million seven-year contract to train Australia’s next generation of military pilots. There is also an option in the deal to extend this contract across 26 years which would greatly increase the deal’s value. On November 29, 2018, Lockheed Martin was awarded a Commercial Lunar Payload Services contract by NASA, which makes it eligible to bid on delivering science and technology payloads to the Moon for NASA, worth $2.6 billion. Lockheed Martin plans to formally propose a lander called McCandless Lunar Lander, named after the late astronaut and former Lockheed Martin employee Bruce McCandless II, who in 1984 performed the first free-flying spacewalk without a lifeline to the orbiting shuttle, using a jetpack built by the company. This lander would be based on the successful design of the Phoenix and InSight Mars landers. For the fiscal year 2017, Lockheed Martin reported earnings of US$2.002 billion, with an annual revenue of US$51.048 billion, an increase of 8.0% over the previous fiscal cycle. Lockheed Martin's shares traded at over $280 per share, and its market capitalization was valued at over US$86.8 billion in September 2018. Lockheed Martin ranked No. 59 in the 2018 Fortune 500 list of the largest United States corporations by total revenue. Lockheed Martin received $36 billion in government contracts in 2008 alone, more than any company in history. It does work for more than two dozen government agencies from the Department of Defense and the Department of Energy to the Department of Agriculture and the Environmental Protection Agency. It's involved in surveillance and information processing for the CIA, the FBI, the Internal Revenue Service (IRS), the National Security Agency (NSA), The Pentagon, the Census Bureau and the Postal Service. In October 2013, Lockheed announced it expected to finalise a $2.2 billion contract with the United States Air Force for two advanced military communications satellites. Lockheed Martin has already begun to help the military transition to renewable energy sources with solar photovoltaic powered microgrids  and as the military aims to reach 25% renewable energy by 2025  in order to improve national security. On February 20, 2013, Lockheed Martin Corp complied with the U.S. District Court in New York, agreeing to pay a $19.5 million lawsuit to conclude a securities fraud class-action legal battle that had accused the company of deceiving shareholders in regards to expectations for the company's information technology division. On December 20, 2014, Lockheed Martin Integrated Systems agreed to settle a False Claims Act lawsuit paying $27.5 million to finalize allegations that it had knowingly overbilled the taxpayer for work performed by company staff who did not hold the relevant, essential qualifications for the contract. Lockheed Martin is listed as the largest U.S. government contractor and "ranks third for number of incidents, and twenty-first for size of settlements on the 'contractor misconduct' database maintained by the Project on Government Oversight, a Washington, D.C.-based watchdog group." Since 1995, the company has agreed to pay $606 million to settle 59 instances of misconduct. In 2013, Lt. Gen. Christopher Bogdan criticized the company's F-35 fighter program. The general said: "I want them both to start behaving like they want to be around for 40 years...I want them to take on some of the risk of this program. I want them to invest in cost reductions. I want them to do the things that will build a better relationship. I'm not getting all that love yet." The criticism comes in the wake of previous criticism from former Defense Secretary Robert Gates regarding the same program. Through its political action committee (PAC), the company provides low levels of financial support to candidates who advocate national defense and relevant business issues. It was the largest contributor to the House Armed Services Committee chairman, Republican Buck McKeon of California with over $50,000 donated in the election cycle as of January 2011. It also was the top donor to Sen. Daniel Inouye (D-HI), the chair of the Senate Appropriations Committee before his death in 2012. Senior management consists of the CEO, COO and CFO, and Executive Vice Presidents (EVP) of five business areas. The EVPs are responsible for managing major programs. Lockheed Martin manages employees through its Full Spectrum Leadership and LM21 programs. The LM21 program relies on Six Sigma principles, which are techniques to improve efficiency. Senior management constructs leadership councils and assigns managers to facilitate Kaizen events, which target specific processes for improvement. A manager facilitates teams and processes stakeholders and suppliers to streamline process implementation. The "Double Helix methodology" is a systems development methodology used by Lockheed Martin. It combines experimentation, technology, and a warfighter's concept of operations to create new tactics and weapons. ^ a b "US SEC: Form 10-K Lockheed Martin Corporation". United States Securities and Exchange Commission. Retrieved January 11, 2018. ^ "Lockheed Martin (NYSE:LMT) | Subsidiaries & Locations". AeroWeb. Barr Group Aerospace. Retrieved November 15, 2013. ^ DefenseIQ Top 10 defence companies in the world, 2013. Retrieved: July 6, 2015. ^ "Top 100 Contractors Report Fiscal Year 2013" (XLS). Federal Procurement Data System – Next Generation. General Services Administration. Retrieved January 2, 2015. ^ "2009 Annual Report" (PDF). LockheedMartin.com. Archived from the original (PDF) on October 17, 2012. Retrieved January 4, 2011. ^ "Lockheed Martin Corporation 2016 Annual Report" (PDF). lockheedmartin.com. Retrieved March 5, 2018. ^ Space Fence: Lockheed Martin Archived July 9, 2015, at the Wayback Machine, 2015. Retrieved: July 7, 2015. ^ Orion: Lockheed Martin Archived July 9, 2015, at the Wayback Machine, 2015. Retrieved: July 7, 2015. ^ Norris, Floyd (August 31, 1994). "A 'merger of equals,' with Martin Marietta the most equal". The New York Times. ^ "Martin Marietta-Lockheed merger is approved". The New York Times. March 16, 1995. ^ Diamond, John. "Audit Recommends Slashing Pentagon Incentive Pay for Defense Execs". AP NEWS. Retrieved April 24, 2019. ^ Wayne, Leslie (July 17, 1998). "Lockheed cancels Northrop merger, citing U.S. stand". The New York Times. ^ "Metric mishap caused loss of NASA orbiter". CNN. September 30, 1999. ^ "Math error equals loss of Mars orbiter". Science News. October 9, 1999. Archived from the original on September 4, 2004. ^ "Peacetime Programmers". Electronic Gaming Monthly. No. 97. Ziff Davis. August 1997. pp. 66–67. ^ LOCKHEED MARTIN PAYS NASA $7.1 MILLION SETTLEMENT Archived May 31, 2009, at the Wayback Machine. U.S. Department of Justice, United States Attorney Press Release, July 10, 2003. ^ Dutt, Jill. "Taking an Engineer's Approach at Lockheed Martin." Washington Post, May 1, 2006. ^ Spires, Shelby. "NASA slashes Orion Crew Exploration Vehicle crew size to four". al.com. Alabama Media Group. Retrieved October 10, 2013. ^ "Lockheed Martin Corporation 2013 Annual Report" (PDF). lockheedmartin.com. Archived from the original (PDF) on March 23, 2014. Retrieved March 23, 2014. ^ "Lockheed Martin Acquires Nantero, Inc.'s Government Business Unit". Taume News. August 14, 2008. Archived from the original on December 2, 2008. Retrieved August 14, 2008. ^ "UNITECH acquired by Lockheed Martin". UPI.com. United Press International, Inc. Retrieved October 11, 2013. ^ Hult, Karla. "Lockheed Martin to Close Eagan Plant, Shed 1,000 Jobs." Kare 11 News, November 19, 2010. ^ Washington Post, "Lockheed To Pay $2 million To Settle Lawsuit", January 25, 2011, p. 14. ^ "Press Releases – D-Wave Systems". ^ "Lockheed Martin Hit by Unspecified Cyber Incident". Fox News. May 28, 2011. ^ "Pentagon to Consider Cyberattacks Acts of War". The New York Times. June 1, 2011. ^ "Lockheed Martin cuts 740 jobs". The Indian Express. July 11, 2012. Retrieved July 11, 2012. ^ "Lockheed Martin eyes greater share of Indian defence market". The Times Of India. August 2, 2012. ^ "Lockheed Martin raises compensation of CEO-elect Hewson". Chicago Tribune. November 27, 2012. ^ "Dreamhammer Hammers Out Deal With Lockheed Martin". socalTECH.com. SOCALTECH LLC. Retrieved October 2, 2013. ^ "Bell Helicopter and Lockheed Martin team on V-280 Valor" AirFramer, September 9th, 2013. Accessed: September 9th, 2013. ^ Andrea Shalal-Esa (September 11, 2013). "Lockheed acquires Amor group as part of global expansion plan". Reuters. ^ Chris Horne (November 14, 2013). "Lockheed Martin laying off hundreds, closing Akron facility". Scripps Media, Inc. Archived from the original on November 23, 2013. Retrieved November 14, 2013. ^ "Lockheed Martin Acquires BEONTRA AG". PR Newswire. March 18, 2014. ^ "Lockheed Martin To Acquire Industrial Defender". Lockheed Martin. March 12, 2014. Retrieved December 11, 2015. ^ Sherman, Erik. "Lockheed wins $915 million "space fence" contract". CBS News. Retrieved June 6, 2014. ^ Thompson, Loren. "Lockheed Martin Announces Sikorsky Purchase And Strategic Review Of Services Portfolio". ^ "Lockheed Martin takes the plunge with $9bn Sikorsky deal". July 20, 2015. ^ "Rotor & Wing". aviationtoday.com. Archived from the original on February 6, 2016. Retrieved October 4, 2015. ^ "Lockheed Martin receives final regulatory approval needed to close Sikorsky acquisition – Vertical Magazine". ^ "Lockheed finalizes $9B purchase of helicopter maker Sikorsky". NZ Herald. Retrieved November 7, 2015. ^ "Lockheed Martin Completes Acquisition of Sikorsky Aircraft". lockheedmartin.com. Retrieved November 19, 2015. ^ Warwick, Graham. "Lockheed Martin’s Hybrid Wing-Body Future Airlifter"
^ "Flurry of Contracts Spark US Navy Shipbuilding". Retrieved August 9, 2016. ^ "Lockheed Martin wins $867 million deal for Australian pilot training". Reuters. December 11, 2015. ^ "The latest update on defence contracts awarded". August 11, 2016. Retrieved August 11, 2016. ^ "Guide to $400 Billion in Saudi-U.S. Deals: Black Hawks to Oil". Bloomberg. May 22, 2017. ^ "NASA Announces New Partnerships for Commercial Lunar Payload Delivery Services". NASA. November 29, 2018. Retrieved November 29, 2018. ^ Lockheed Martin Selected for NASA's Commercial Lunar Lander Payload Services Contract. Yahoo Finance. November 29, 2018. ^ Andrea Shalal-Esa (October 9, 2013). "Lockheed, U.S. Air Force near $2.2 billion satellites deal". Reuters. ^ Seper, Jerry (March 23, 2012). "Lockheed Martin to pay back government for subcontractor scheme". Washington Times. Retrieved July 4, 2015. ^ Raymond, Nate (February 20, 2013). "Lockheed to settle securities fraud suit for $19.5 million". Reuters. Retrieved July 4, 2015. ^ "US Senate Recent Examples of Contractor Fraud and Misconduct" (PDF). Archived from the original (PDF) on May 21, 2015. ^ "PAE Company Overview" (PDF). pae.com. p. 5. Archived from the original (PDF) on April 2, 2015. Retrieved March 28, 2015. ^ "Board of Directors · Lockheed Martin". lockheedmartin.com. Retrieved February 3, 2016. ^ "Lockheed Martin Corporation (LMT) Ownership Summary". NASDAQ.com. ^ "Federal Contractor Misconduct Database". Project on Government Oversight. Retrieved January 15, 2014. ^ Drew, Christopher (February 27, 2013). "Lockheed Criticized by F-35 Jet Program Chief". The New York Times. ^ Bob Cox (February 3, 2010). "Lockheed Martin downplays Gates' criticism of F-35 program". The Fort Worth Star-Telegram. ^ Munsil, Leigh; Wright, Austin (August 12, 2015). "Is Lockheed Martin too big to fail? Lockheed has made itself dominant on Capitol Hill – with defense jobs in virtually every state". Politico. Retrieved August 12, 2015. ^ "Lockheed Martin Lobbying Expenditure". Center for Responsive Politics. Retrieved January 5, 2011. ^ "Political Disclosures". LockheedMartin.com. Archived from the original on January 21, 2011. Retrieved January 4, 2011. ^ "CorpWatch: US: Lockheed Martin Lobby Group Audited". ^ "The Right Technology for Tomorrow – Today". Tech Briefs. Lockheed Martin. October 24, 2008. Retrieved November 25, 2010. William D. Hartung. Prophets of War: Lockheed Martin and the Making of the Military-Industrial Complex. Nation Books, 2010. ISBN 9781568584201. Wikimedia Commons has media related to Lockheed Martin. "Patents owned by Lockheed Martin". US Patent & Trademark Office. Retrieved December 5, 2005. This page was last edited on 24 April 2019, at 08:57 (UTC).